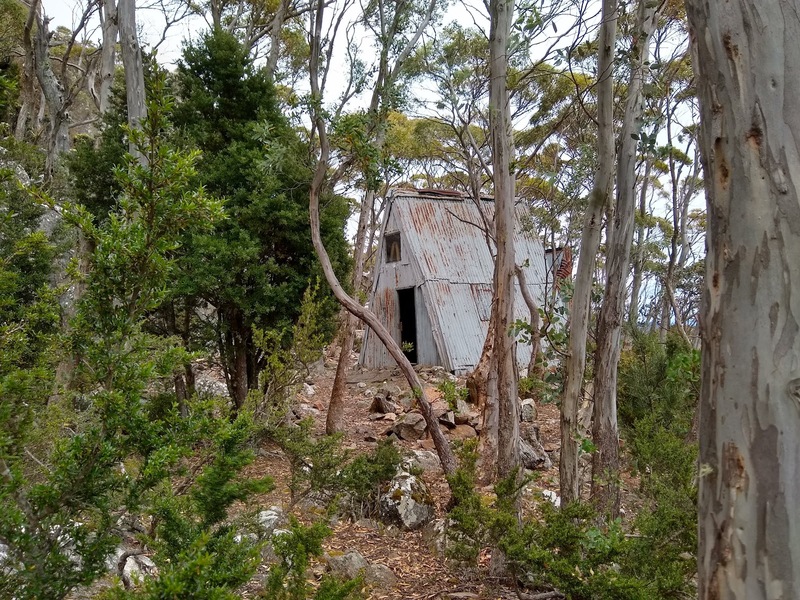 It took two attempts to locate the SAMA hut on Mount Arthur. All the cairns and a real maze of pads there didn’t help either. On the first trip I though the hut would be easily found. But right from the start things didn’t go as expected because I used a pad which I thought was the one used just a few weeks ago, only to find myself above the Scout Hut rather than below as before; somehow missed the junction. Then when looking for SAMA hut pads were followed but none seemed right. Eventually it was decided that the pad we were on was the one that went below cliffs to Lost world, so didn’t continue. There were numerous pads and cairns about often going nowhere. Eventually we decided to leave and come back armed with coordinates and a GPS. Once the map and the various bits of data were viewed it became quite apparent that SAMA and the pad to it was further to the east by about 100 metres. On this second visit with coordinates in the GPS it was quite easy to get to the hut and the it was virtually a clear track and appeared to match our memory. The hut log showed it gets plenty of use, including many overnighters. It was also well maintained inside and the floor swept clean. 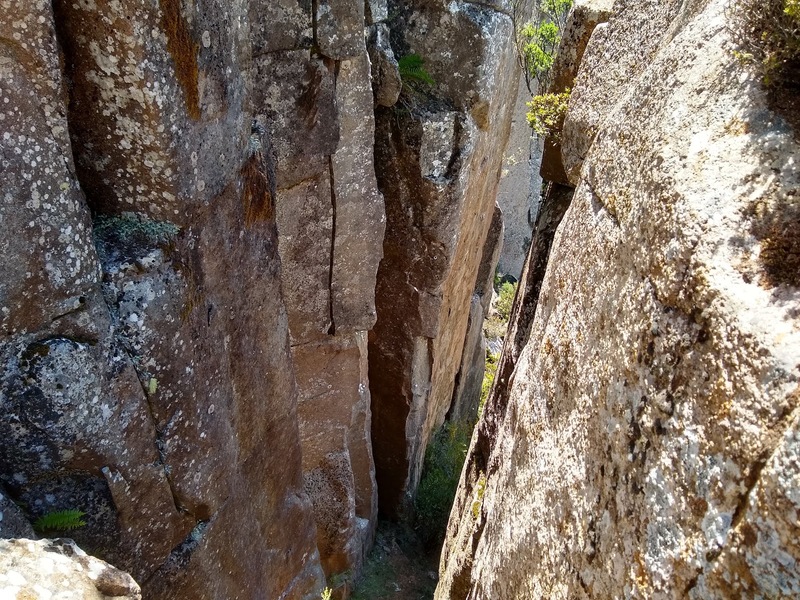 Rather than returning the same way, we went cross country to the Lost World track then picked up the track, sometimes known as yellow dot track to the edge of the cliffs. I remember on one occasion coming this way with David Hardy and descending to the Lost World, but on looking at the chimney at track end had me wondering what way we got down. During the two walks here we encountered some strange things, at least they were to us. On the first day we heard a loud repetitive voice and then spotted a person standing on a large rock and as we got closer it seemed he was chanting with arms raised. Not far away was another person sitting on a rock with a rug which he pulled over his head. Now it was quite a warm day, so it probably wasn’t because of cold conditions. To top it off, from another direction we could hear loud persistent voices making ludicrous sounds, from about where the Lost World track is located. Then on this second journey, whilst we were going cross country, two people were spotted walking up a track with the second one singing and holding a phone up in front of herself. Was she taking a video of the walk or a selfie; could have been either.